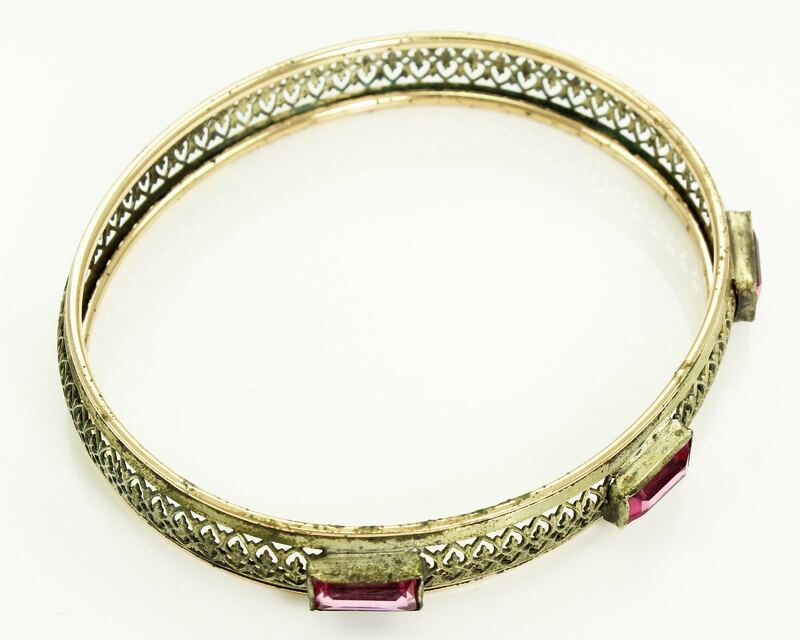 Vintage Art Deco Filigree Bangle with Pink Paste Stones. 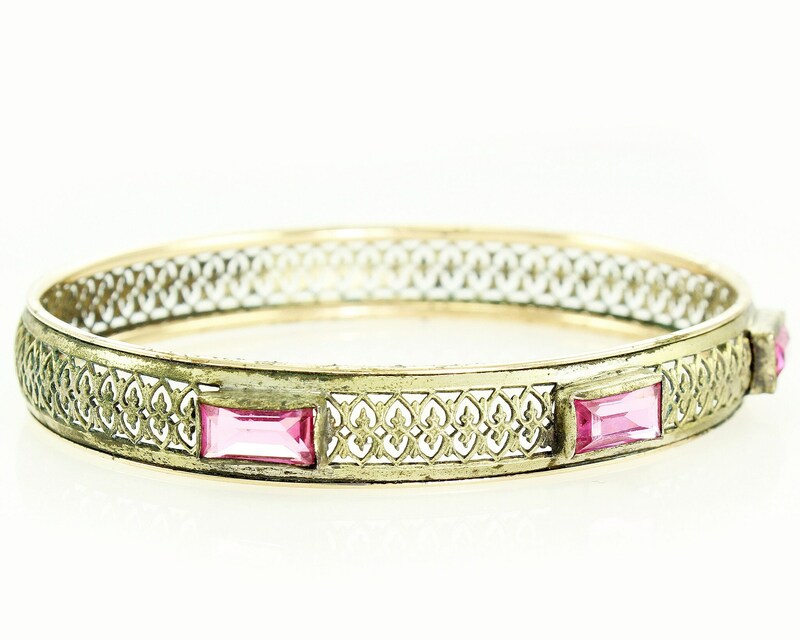 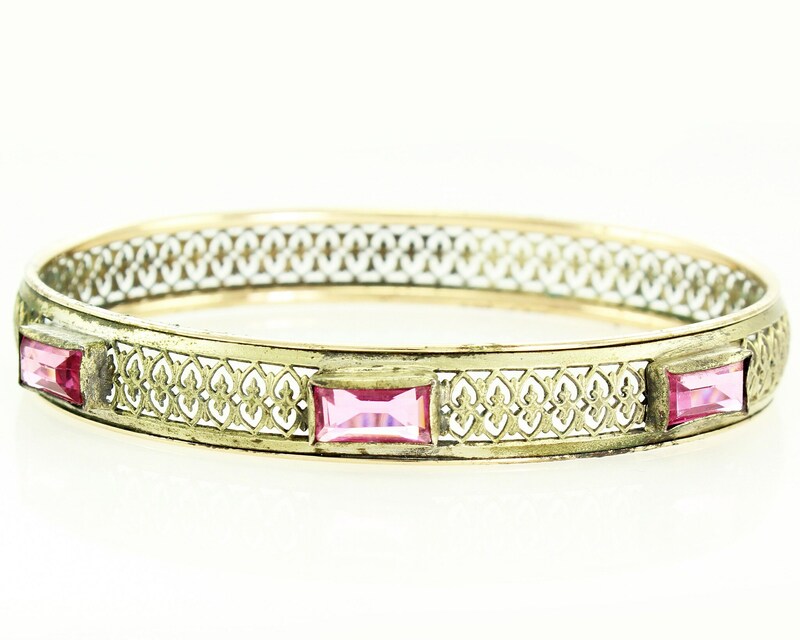 Made in the 1920's, this bangle bracelet has a domed filigree band between two solid metal bands, bezel set with three pink glass sets measuring 2.65 mm x 10.5 mm. 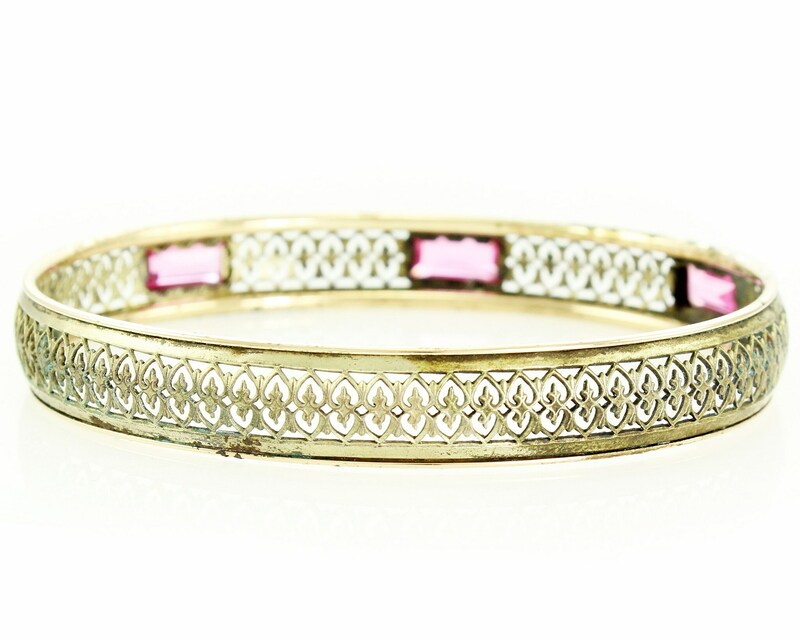 Perfect for a larger wrist, as it slides easily over most hands. 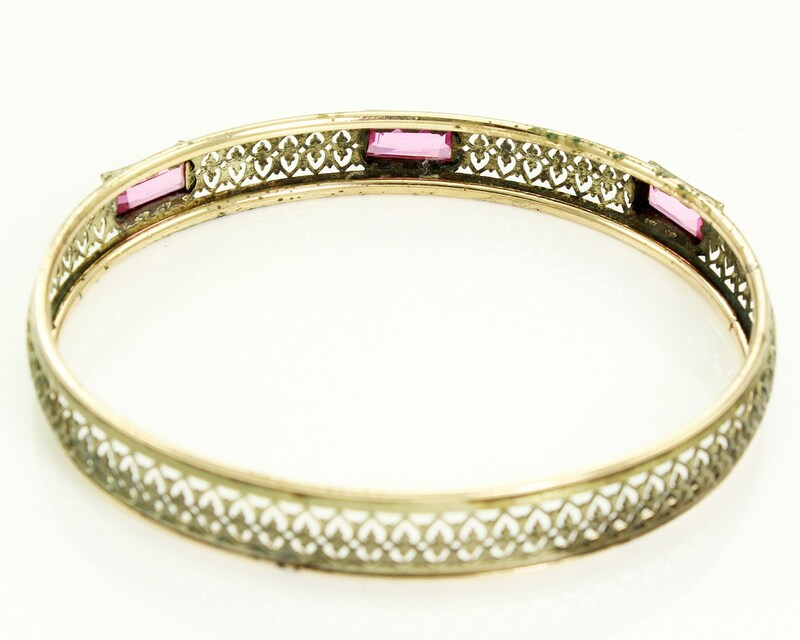 CONDITION: In AS IS vintage condition, with signs of surface wear and discoloration noted.